Anybody getting into video soon realises that camera movement is the key to getting more interesting shots. Often the first investment made to get that movement is in some kind of inexpensive camera slider. Sliders can be amazing, but sometimes you just need more. Especially on location, sliders aren’t always the best option, sometimes you need a track dolly. In this video, Logan at Premium Beat shows us how we can make a simple track dolly for under $50. Of course, this price may vary depending on the cost of materials available to you, but it’s a good guide price to get you started. You can possibly even get it for less if you’re patient and look for good deals online. 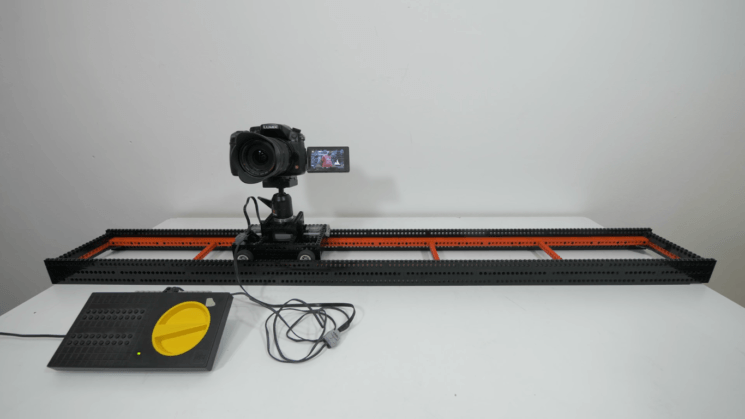 Did you ever think that you could build a motorized camera slider from the junk laying around in your garage? Well, the folks at Make: have you covered. We’ve covered some very cheap DIY camera sliders builds in the past, but if a $50 DIY slider or even a $20 DIY slider is still beyond your wallet, then this one beats all other budgets, hands down. This super down and dirty setup can cost as little as nothing if you have a bunch of old junk laying around.